What is a tea ‘flush’? How to store tea properly? What is an oolong tea? How to choose a good Oolong Tea? How to choose a good black tea? How to make a cup of chai? How to choose a good chai tea? What is tannin in tea? Is regular consumption of tea considered healthy? Is tea effective in weight loss? Do all teas have the same effect on health? Is Decaffeinated Tea Good or Bad For You? Tea is a refreshing and aromatic drink made steeping the leaves of Camellia Sinensis in hot water. Believed to have been discovered in 2737 BCE by Chinese sage emperor Shennong, tea is the second most consumed beverage in the world after water. More than 75% of all tea produced in this world is black tea, 20% is green and the rest is accounted for by oolongs, whites, and yellow tea. In addition to these teas, tisanes or herbal infusions, like the rooibos tea, mate, rose hip tea and chamomile tea, have also become popular across global tea community. However, it is important to note that these infusions are not tea, as they contain no traces of Camellia Sinensis leaves. Tea is a rich source of xenobiotics, a class of secondary metabolites. These metabolites are present in tea plants for their natural defense, but when consumed as part of the dietary intake, they are metabolized alongside water-soluble compounds. Flavan-3-ols, commonly referred to as catechins, comprise about 30% of the total dry weight of the leaf. This compound is more abundantly present in non-fermented teas, such as green tea, and are believed to aid cell metabolism to a large extent. Tannis are polyphenolic biomolecules that lend astringency to the tea. The astringency from the tannins dries the mouth and causes puckering. Tannins also play an important role in ripening and aging of a plant. Theaflavins are antioxidant polyphenols formed during the enzymatic oxidation of a leaf. During oxidation process (for oolongs and black teas), most of flavan-3-ols or catechins get converted into theaflavins (dimers) and/or therubigins (polymers). Theaflavin is said to be responsible for producing a dark, reddish-brown-colored tea liquor and also for granting astringency to the tea. Thearubigins are the most abundant group of [polymeric] polyphenols that are formed during enzymatic oxidation of tea leaves. 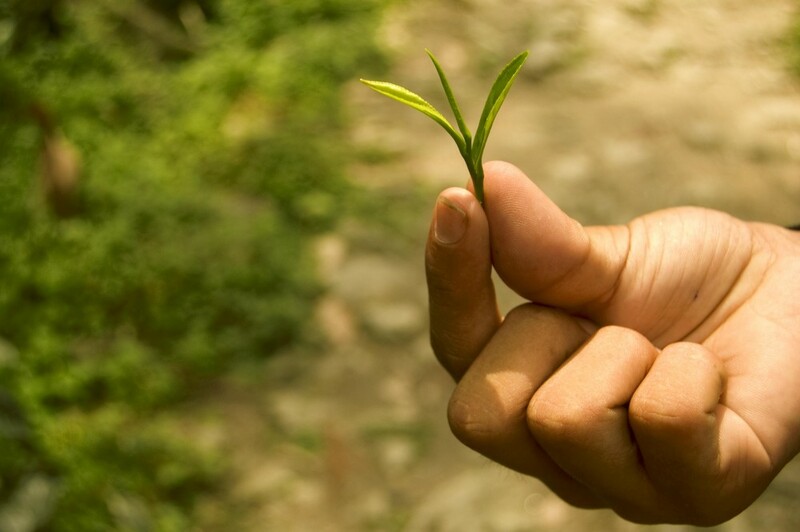 Being highly water soluble, they account for 30-60% of compounds in an oxidized tea. Thearubigins are red in color, and their concentration is what gives black its range of colors – from amber to dark brown.